Save 20% On Your First Service! Powell Window Cleaning not only deep cleans the outside of your windows, but we also do interior window cleaning in the Las Vegas area. We will clean your light fixtures, mirrors, track vacuuming, and residential deep cleaning, or just simple maintenance. We’ll even get those hard to reach areas like your bug and solar screen or intricate and delicate fixtures such as chandeliers. Say goodbye to the built-up dust that comes from living in Las Vegas. Isn’t it time you got all your surfaces to sparkle? 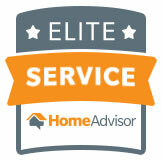 for Home Advisor’s Elite Awards 3 years straight. We recommend that you clean your windows monthly for the best possible maintenance but even doing it 2x a year or annually is great. It is your preference how often you would like them cleaned, even if it’s just once. What makes Powell Window Cleaning different? We are a family run business that always shows up on time and takes pride in our work. 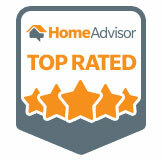 We value customer satisfaction above all else. Do you have references I can check? 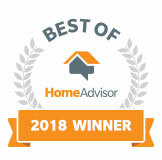 Feel free to read our reviews on Home Advisor and Google. 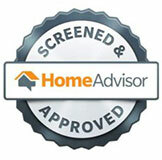 We are verified on Home Advisor via their background check system. What can I expect during service? We start by always arriving on time, and protecting any and all surfaces & furniture as well as any outdoor landscaping. Then we carefully wash your glass with our proven methods. Once we are done we will present you our work for inspection.